Not in my wildest dreams did I ever imagine that Christmas in My Heart would still be alive and well after twenty-seven years-nor that it would also be our 100th book. How mightily God has blessed the ministry of our books! 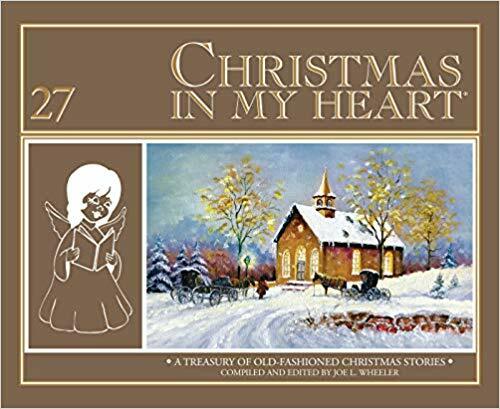 Without question, each year’s Christmas in My Heart collection is more daunting to assemble than the ones before. Reason being: We prayerfully search all year long for spiritually based, unforgettable, and deeply moving stories that will touch the heart, will stand the test of time, and be at least as strong as all our previous stories. Sadly, all too few authors are writing value-based stories today such as were the norm back during the golden age of Judeo-Christian stories (1880-1960), most published primarily in family magazines, few of which even exist anymore. In order to keep the Christmas in My Heart series going, we continue to purchase golden age story magazines and books, most from antique stores and the internet-also weaving in contemporary stories.